TWITTER WHO: Volume One Review | Warped Factor - Words in the Key of Geek. Matthew Kresal goes over 140 characters. The return of Doctor Who to television screens in 2005 and its ongoing success not only introduced a new generation of fans to the new series but also to the show as it once was. As a result, the last few years have seen a growing number of fresh perspectives brought to a series that went from much loved to ridiculed and back again. 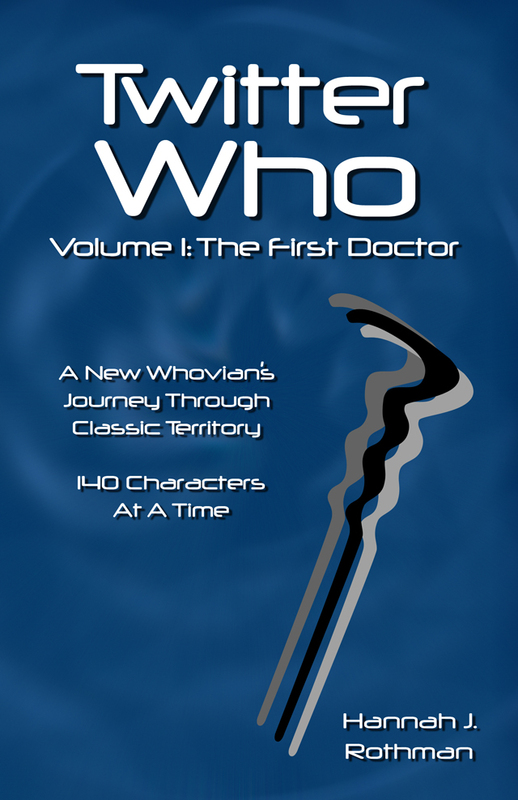 Few though have been as unique as Hannah J. Rothman's Twitter Who, as demonstrated by its first volume which appropriately covers the First Doctor's era. As the book's title may suggest, Rothman's perspective on the First Doctor's era comes through the use of the social media force known as Twitter. Across much of 2010, Rothman tweeted her thoughts as she watched or (due to the short sighted junking of much of the BBC archives in the 1970s) listened to stories from across this era 140 characters at a time. The book collects together her Twitter commentaries of the various stories from this era, making them an almost textual equivalent of a fan commentary on the stories, and that is a big part of its appeal. Yet there's more to Twitter Who than that. 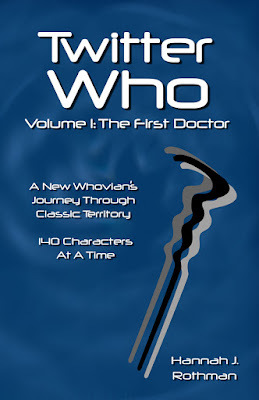 Rothman's retrospectives on various companions and indeed the First Doctor himself are amongst the best parts of the book, and perhaps the most serious as well. In these retrospectives, she often try to make sense of the sometimes contradictory nature of the characters, such as Susan for example, while elsewhere she makes a convincing case for why Vicki is perhaps more of what Susan what was meant to be in the first place. Perhaps the best retrospectives are those given to Ian and Barbara following their exit at the end of The Chase, or the one given to “One” himself which ends with a sentence that speaks volumes about the mark that both him, and the man who played him, left upon a show that's now more than five decades old. 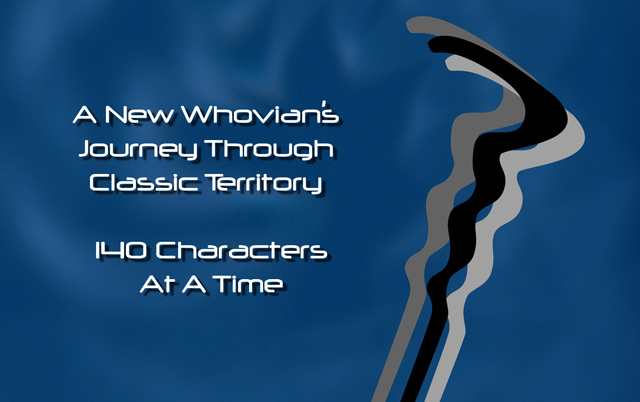 Twitter Who Volume One definitely isn't your typical piece of Doctor Who related non-fiction. Its collection of Twitter commentaries from a young fan that brings a new perspective to the stories while the retrospectives give often thoughtful looks at characters served both well and ill by the series. Above all else, it's an intriguing and modern look at the First Doctor era and one that fans old and new should enjoy in 140 characters or less.